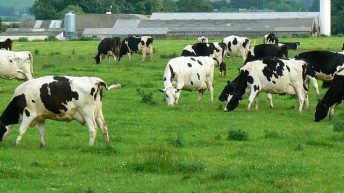 The two main nitrogen (N) sources for Irish farmers are urea and calcium ammonium nitrate (CAN). However, there is now a third player in the market – protected urea. 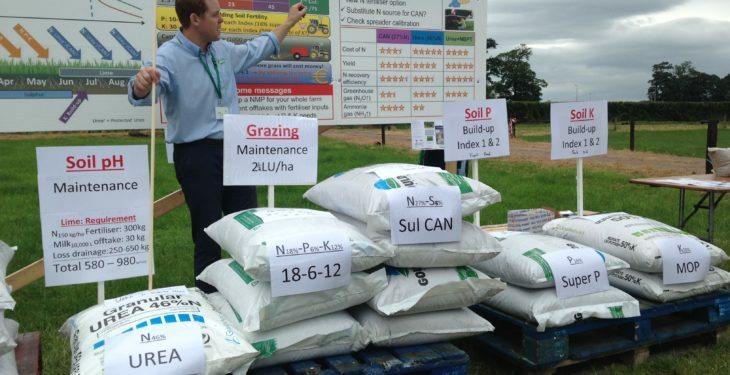 Speaking at Moorepark ’17, Teagasc’s Dr. David Wall highlighted the positives of the latest product on fertiliser shelves. “Protected urea is a new nitrogen fertiliser option,” Wall began. Traditionally, farmers use unprotected urea early in the year when conditions are wet and unsettled. When the soil is wet, urea is able to hydrolyse and convert into an available form of N very quickly, Wall explained. Up to 15% of the N in urea is lost through volatilisation, he stated. Volatilisation is the process where N is lost to the atmosphere. 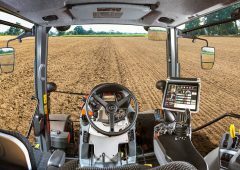 “You put out your urea on a dry, warm day and you get a little bit of rain; this results in a partial melt – that’s the worse thing that could happen. “What you want is enough rain after application to get the urea moved into the soil; then it’s safe. CAN, on the other hand, is 50% ammonium and 50% nitrate; nitrate can be lost in wet conditions. Generally, after April, when weather conditions are drier, farmers move away from urea and use CAN instead. 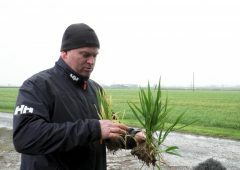 “Protected urea now gives you the option to use a urea N form, with protection from volatilisation, during the dry time of the year,” he said. 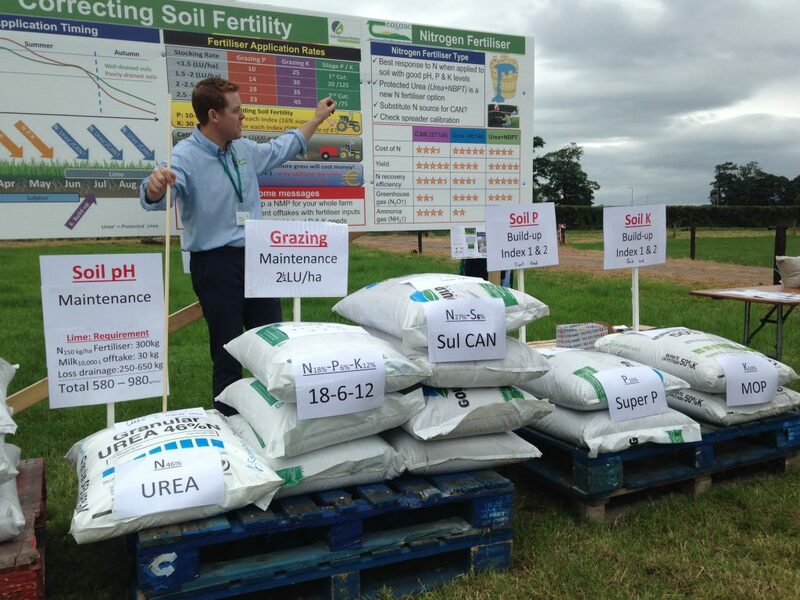 Explaining how the fertiliser works, the soil expert said: “Protected urea has a product known as NBPT coated on the granule. This stops volatilisation, protects the urea from nitrogen loss and gives it time to convert to ammonium and then to nitrate. Protected urea gives you the option to move away from CAN or Sul-CAN mid-season. 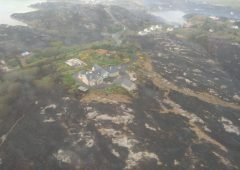 “It stacks up in terms of cost and yield compared to CAN,” Wall said. 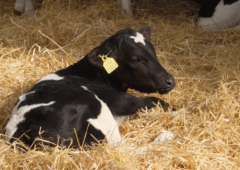 Teagasc research has found protected urea and CAN give comparable annual grass dry matter (DM) yields. In terms of nitrogen recovery, protected urea performs very well. 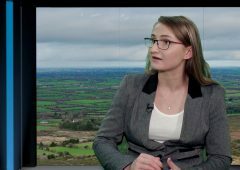 According to Teagasc, protected urea is consistently as efficient in N recovery as CAN – unlike traditional, unprotected urea, where a lot of N loss occurs. “The other two areas where it really stacks up is to do with the processor. They want good credentials in terms of marketability and green house gases (GHG),” Wall said. 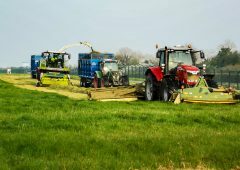 Recent research carried out by Teagasc has shown that CAN has the highest and most variable GHG loss. 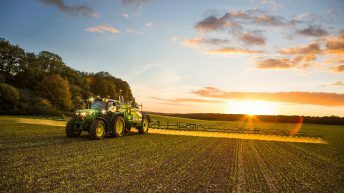 In comparison, protected urea reduced losses of the GHG, nitrous oxide (N2O), by approximately 70% compared to CAN. 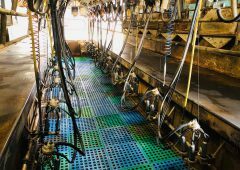 Protected urea has also been shown to cut ammonia (NH3) loss by 79%, on average, compared with traditional, untreated urea. “This is the new kid in town, but it’s a good option to have in your arsenal,” Wall concluded. 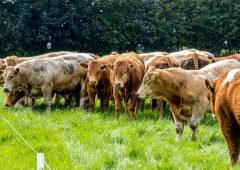 Power grazing – Can it benefit ‘failing’ soils?